Heidi was excellent. She was very professional and knows her stuff. She gave great information on where to park and how to find her spot. She took the time to get to know me and understand my lock jaw pain and sciatica. Her massage was very relaxing and included a heated blanket on the table (if you choose) and the placement of pillows and rice pillows for added comfort. I would highly recommend her!!! Thank you Heidi! Heidi was knowledgeable, soothing, listened really well to what I wanted and needed in terms of massage, and had great touch! My shoulders feel much better. Thanks! Heidi provided an excellent massage, was friendly and provided great customer service! Would highly recommend getting a massage with Heidi! Heidi is really great. Takes the time to get to know what’s bothering you so she can focus on the problem areas and work them out. Great to discover Heidi's massage therapy service. Very considerate of comfort and attention to your body throughout entire session. First time I have massage where different types of pillows including weighted ones are used to make sure your body is positioned best and have pressure on parts that are not at the moment worked on. The experience was amazing. Heidi makes feel super comfortable and the massage was really good. I would definitely recommend her to anyone and will be returning very soon. Heidi was really wonderful! One of the best massages I’ve ever had and incredibly perceptive to how I was feeling during the entire experience! Heidi’s massage was great. In my case, it was a prenatal massage and she did a great job. I am really happy I found her through Nift. Heidi is fantastic. The session I had was soothing and relaxing. I really appreciated that Heidi took time to get to know me prior to our session and really targeted my problem areas. Would definitely go back! What Heidi states on her website is true! She helps you get in tune with and be aware of your body through massage! A super experience! Heidi is a lovely person and a talented massage therapist! Heidi is a very generous practitioner and has healing hands. I was able to thoroughly relax and feel the benefits of hands-on body work immediately. Heidi was fantastic! I appreciated how she continuously checked in with me throughout the massage to make sure I was ok. I also appreciated the time she took to really listen. I will definitely return and recommend her to my friends! Heidi was great. I'm definitely going back. Fabulous massage! I left feeling 100x more relaxed and at ease. Heidi seemed genuinely passionate about her practice. I would strongly recommend Heidi, she did a great job! Heidi was so kind and great at what she does! Heidi is very thorough and holistic in her approach. She listens to everything you have to say about your medical and mental health. I left feeling relaxed and as though good work had been done. Body work/massage at Heidi's Table was a wonderful way to spend time in a healing, calm, and expert presence for relaxing muscle tension. 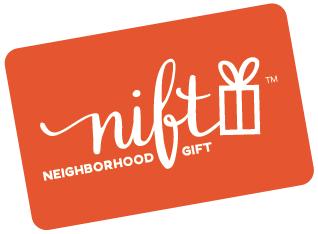 It was lovely to have the Nift gift, to prompt me to make the appointment, and I will very likely return at full fee because of the good experience. Thank you! Heidi is a lovely person who is highly skilled and knowledgable about her work. Great! Heidi was very thoughtful, listened carefully, and made this experience much more personalized, and more healing, than any other massage I've ever had. Heidi was super knowledgeable and gave a great massage! Would definitely recommend! Heidi was wonderful! She took the time to really get to know what’s bothering me and why. Her voice is so soothing. She uses pillows and rice pads to keep everything aligned and relaxed. One of the best massages I’ve even had!